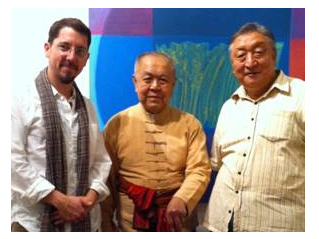 This is a reminder about the two upcoming events in Washington DC with the Siamese intellectual, social critic and prominent engaged Buddhist, Sulak Sivaraksa. Both events are free and open to the public. I hope you can make it to one or both of the events, or watch it on Ustream. Matteo Pistono is the author of In the Shadow of the Buddha: Secret Journeys, Sacred Histories, and Spiritual Discovery in Tibet, and writes for The Washington Post On Faith and the Kyoto Journal, among others, on Tibetan and Himalayan cultural, political, and spiritual landscapes. He is presently writing the biography of the prominent Thai Buddhist intellectual, Sulak Sivaraksa.